“I have learnt a lot. I feel more confident and assertive in all areas of my life and am using the skills we developed in the sessions in everyday life.” Melanie, special needs co-coordinator. We are made up of mind, body, and spirit. Our mind with its intellect and emotion. Our physical body. And our spiritual essence. Holistic life coaching is facilitating someone’s experience within all these states of being so they reach a state of empowerment and balance. 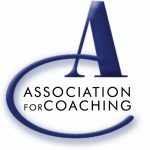 TOP QUESTION: What is the difference between life coaching and holistic life coaching? Life coaching helps us to improve different areas of our life e.g. work, friendship, personal development, communication, intimacy, well-being and family. Holistic life coaching helps us integrate these areas of our life to give a more profound meaning to daily living. The course is suitable for anyone who wishes to take an integrated approach to life coaching. You could use what you learn on this course to: work alongside psychic work, integrate into counselling, enhance a healing or mindbody practice or weave into a complementary therapy practice. You can take up to two years to complete this course which is delivered through blended learning (a mixture of supported distance learning and supervised skills development). Wellness Professionals at Work is a training provider member of the NCP as well as being an accredited CPD centre. The Diploma in Holistic Life Coaching will provide you with a professional qualification and is accredited by the National Council of Psychotherapists (NCP). The NCP is one of the longest established and prestigious societies of its type in the UK and enjoys an international reputation. Student membership is included in your fee when you are accepted onto the Diploma and following successful completion of the course, you are eligible for full NCP membership. Wellness Professionals at Work is an organizational and training provider member of the Association for Coaching (AC) and is committed to the ethical development of coaching as a profession. Following successful completion of the Diploma and the gaining of coaching hours, you are eligible to apply for membership of the Association which has international recognition. You need to complete 40 hours of supervised skills development before you take on case studies. You can go at your own pace for distance learning with the full support of your tutor. This is designed to give you the underpinning knowledge you need in order to practice holistic life coaching. As well as the pre-course reading, additional textbooks are provided. Based on this reading and your self-directed study, you complete assignments at your own pace. Completed work is passed onto your tutor for marking and comment and returned to you together with the next module. Intuition – symbolism – archetypal psychology – rituals and rites of passage – creativity and healing – link between wellbeing and human spirituality – personal meaning profile – coping schemas inventory – wheel of life – labyrinths. Each module is £99 and includes learning material plus one tutor-marked assignment. 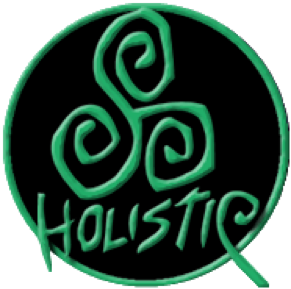 BRIGHTON – Diploma in Holistic Life Coaching Skills (master class attendance in Brighton, Sussex) £1,599. Pay an initial £349 upon enrolment plus ten standing order instalments of £125. ONLINE – Diploma in Holistic Life Coaching Skills (delivered remotely) £1,899. Pay an initial £449 plus ten standing order instalments of £145.